It is estimated that 1 in 6 Canadian children has a developmental delay. 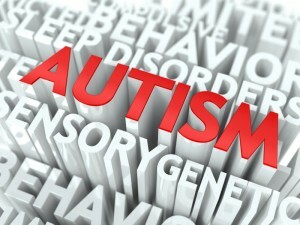 The diagnosis of Autism Spectrum Disorder has increased over 2000% in the last 10 years. Up 30% in the last two years alone. If this isn’t an epidemic, I don’t know what is. 1 in 68 children is now estimated to have ASD. Parents of young children are alarmed at these rapidly escalating rates of autism. More and more parents are worried that their toddler or preschooler has signs of autism or ADHD. If you are worried your child has autism, you are likely torn in two directions. One is directly into the ground, head buried, filled with terror. The other is frantically scouring the internet for more information. The reason I am writing this blog, is that autism is changing. Massive piles of incredible research lead by world renowned researchers, is showing that autism is PREVENTABLE, TREATABLE AND REVERSIBLE. This blog is for all the Moms and Dads up in the middle of the night trying to face the terrifying reality that their child may have developmental delays or a developmental disorder like autism or ADHD. Eight years ago, I became a DAN! Doctor. DAN! doctors are experts in biomedical treatment. After training to become a naturopathic doctor in a four year post-graduate program, I realized that my passion was working with children who were diagnosed with autism. In the last 8 years, I have worked with thousands of children. Since my DAN! training many years ago, I have been completing my fellowship with the Medical Academy of Pediatric Special Needs. The MAPS program trains health care providers to be the best in their field in assessing, treating and preventing autism. The MAPS program has been developed by leading physicians, scientists, researchers and experts in the fields of environmental medicine, gastrointestinal abnormalities, pediatrics, neurological disorders, genetics, nutrition and mitochondrial issues. It is the leading biomedical training program in the world and the only of its kind. Our clinic has worked with parents to recover hundreds of children with autism. The DAN! and MAPS treatment protocols have helped to prevent hundreds of children from being diagnosed in my practice. Moms and Dads, who are up at night worrying, this blog is for you. This message is to you. DO NOT WAIT FOR YOUR PEDIATRICIAN TO DROP THE AUTISM BOMB. DO NOT WAIT FOR THE TEACHERS TO RECOMMEND YOUR CHILD SEEK TREATMENT FOR ADHD SYMPTOMS. Assess and treat developmental concerns the second you see them. Boys don’t speak later because they are boys. Boys often speak later because they are more at risk for being diagnosed with autism, ADHD and speech language delay. Your child should not have chronic diarrhea or constipation. PEG FLAKES do not heal the gut. Healthy digestion is required for healthy development. It is time to take action. About half the children in the US with an autism spectrum disorder are diagnosed at five or older but many parents are suspicious much earlier. If you suspect autism, if you are worried; take action. So let’s take a look at signs and symptoms that could indicate your child needs support developmentally. Remember, early intervention is the key to helping your child. You do not need a diagnosis to get support for language, social or cognitive delay. If your child has “autistic” behaviours or has marked hyperactivity, acting now can dramatically change the course of their development. 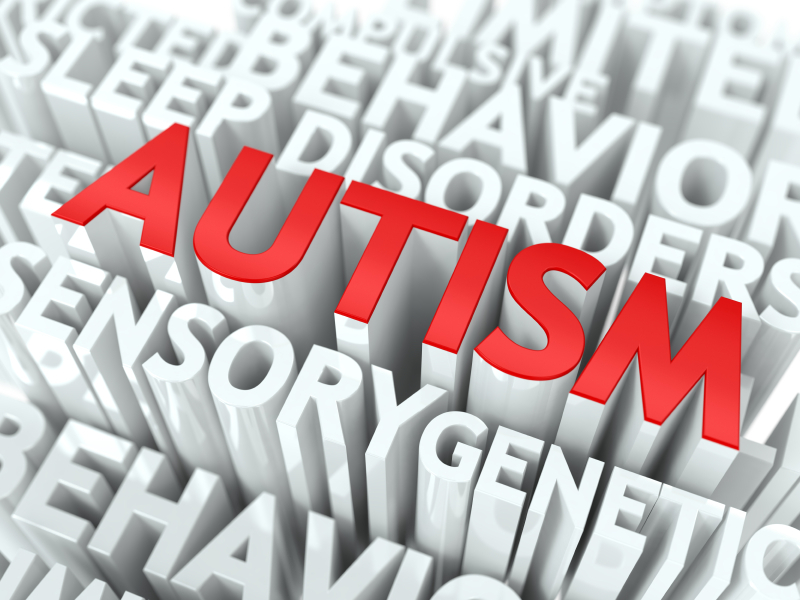 Autism is a spectrum of closely related disorders with a shared core of symptoms. Autism symptoms appear in infancy and early childhood, causing delays in many basic areas of development such as learning to talk, make eye contact, play, and interact with others. The signs and symptoms of autism vary widely and some autistic children have only mild impairments, while others are impacted more severely. The three major areas of concerns in autism involve language, social and cognitive function. Many children with autism also have severe sensory issues. Language delay is often the first sign parents act on when a child is on the autism spectrum. Language delay is very common and parents are able to take steps to support speech, language development without having to tackle the question of autism head-on. Two-year olds should speak in 2-3 word sentences or phrases that communicate their needs. Autism is a communication disorder, and since speech is the way to communicate, delayed speech may signal autism. Keep in mind; children who are eventually diagnosed with ADHD are often “late talkers”. Even children with hearing issues who are speech-delayed should still use vocal utterances and gestures or formal sign language to communicate. What can you do today (right now) to support your child’s development? Read Healing the New Childhood Epidemics by Dr. Kenneth Bock, M.D. Get your child’s medical concerns assessed and treated. Digestive, sleep and immune issues decrease developmental potential. Sensory issues are painful and force children to withdraw from the world. Biomedical treatment of autism spectrum disorders and other developmental concerns, will dramatically improve language, social and cognitive development. As a naturopathic doctor specializing in treatment and prevention of neurodevelopmental disorders; the most important thing for parents to do is to keep track of their child’s milestones. While all children hit milestones at slightly different times, it is crucial that infants, toddlers and children are gaining language, social and cognitive skills on schedule. As a parent, you never want to believe that your child has a developmental problem but when it comes to autism, catching it early makes an incredible difference. The younger your child, the greater the impact of treatment on symptoms of autism, ADD/HD, OCD, speech delay and Tourette Syndrome. As a parent, you are the person to watch for early signs of developmental delay. It is crucial to track milestones, to take action if you are concerned and trust your instincts. I believe strongly that the “wait and watch” approach is the worst thing to do when it comes to developmental concerns. At the first sign of delay, seek out expert advice and get a plan in place to find out what is going on and how you can help your child gain skills more quickly. If autism or other developmental concerns are addressed early there is a higher potential for the brain to heal because the brain has remarkable plasticity. Take action as soon as you can. Pull your head out of the sand, use all the information you have learned off google and get to the experts. Pediatricians, speech language pathologists, occupational therapists and MAPS trained naturopathic doctors can help. A lot. Biomedical treatment has the ability to change your child’s life.